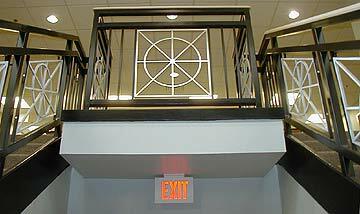 NSR Metal Works is a full service custom metal fabricator specializing in stairs, railings and ramps. 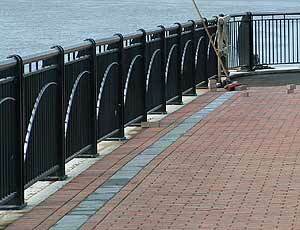 We work throughout the state of Massachusetts on a wide variety of jobs, large and small, simple and ornate. No job is too challenging, and no job is too small! We have a full service shop where we create much of our work, and we have the ability to weld on site (TIG / MIG welding). This enables us to take on many jobs that simply couldn't be brought into a shop. Feel free to browse our website to view a small sampling of our work. Please visit our PORTFOLIO to view more examples of our work. If you have any questions about what we can do for you please call (508)732-0190 or email us. 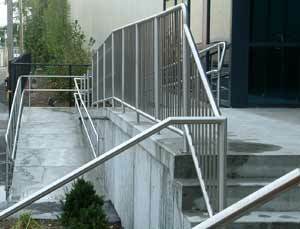 We at NSR Metal Works are committed to quality craftsmanship and working with our clients to help realize their vision. We also have the capabilities to design our own jobs with in house AutoCAD color plotting capabilities up to 42" wide.